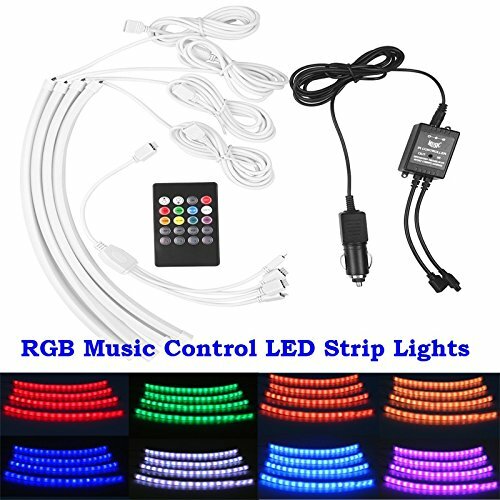 Home › Energy-Efficient LED Lighting › Lumcrissy 4Pcs 7 Color Music Control Led Car Interior Underdash Lighting Kit ..
Lumcrissy 4Pcs 7 Color Music Control Led Car Interior Underdash Lighting Kit ..
Control mode: 4 music control mode, 8 signal color control, brightness control, ON/OFF, 2 jump mode control, 2 fade mode control. Application: Using for lighting up the entire car interior, plug and play. Application: Using for lighting up the entire car interior, plug and play.